Like modern baby backpacks, the Dayak, or indigenous communities of Borneo, carry their infants in richly decorated ba’. The carriers are made of fibre, plaited and woven like a basket, and have a wooden base to hold the child. The cowrie shells on the ba’ symbolise fertility. 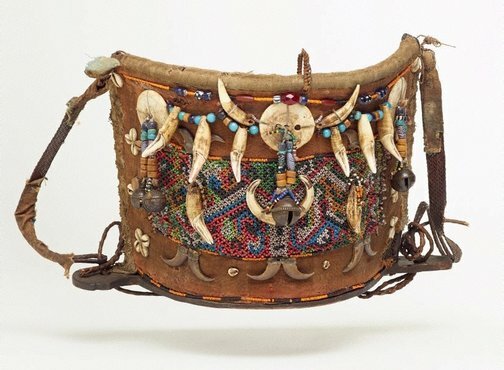 Tiger claws, teeth, boar tusk, bells and other charms on the carrier protect the baby from harmful spirits. 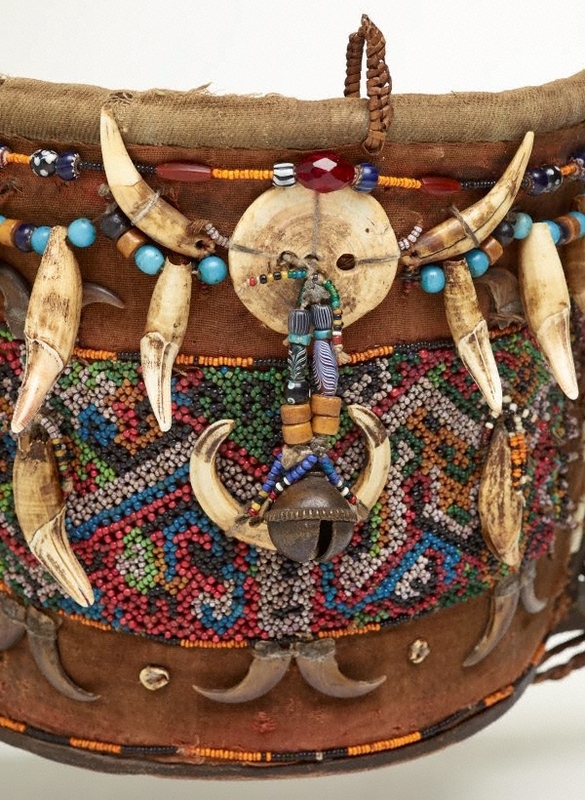 Regarded as a particularly auspicious colour, the blue beads on the ba’ bring about happiness and wellbeing. Asian Art Department, AGNSW, December 2008.